Whew. I think my heart skipped as many beats that game as the amount of yards the Eagles finished the game with. This was the most back and forth game that I have ever seen between the NFC East matchup of the Giants and Eagles. 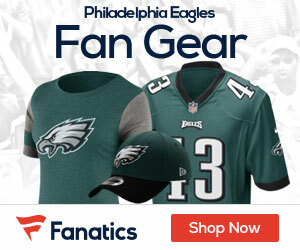 The Eagles were ultimately able to pick up the big win at home and advance to the first place spot in the NFC East. The Eagles advance to a (7-3) record and are now tied with the remainder of the highest placed teams in the entire NFC. The Giants picked up their second divisional loss in a row, although this was a game that they were close to winning. This was a big loss for the Giants, now losing the title of first place in the NFC East, and also slipping to a (6-4) record. There was a lot of things I really liked from the Eagles in this game, and there was also a number of things that really disappointed me. This was one of the best games I have seen in this rivalry in a long time, and I expect the next meeting to be just as good. You could make the case that Terrell Thomas deserves the MVP award in this game. Even though his team lost, Thomas couldn’t do anything wrong. He was allover the field and was involved in almost every single play. This was the one player on the Giants defense that I felt went above and beyond and made a statement. Thomas finished the game with an awesome performance. Finishing the game with a total of 10 tackles, nine of which were solo. Also, having two pass deflections and was able to knock the ball out of receivers hands a number of times. Not to mention the blocked field goal at the end of the half. If the Giants would have had better execution on the return, it could have easily gone back for a touchdown. Great game from Thomas, and he is a player I am going to keep my eye on. What was the deal with the Eagles receivers dropping passes in the endzone? It was painful for me to watch Jason Avant and DeSean Jackson drop two touchdown passes that would have lead to a big Eagles lead. I have never seen this type of play from any set of Eagles receivers, and this is something that must improve if the Eagles want to win games. The offensive line gave Michael Vick plenty of time to throw the ball.. As long as the Giants didn’t blitz. The O-Line did a great job protecting him against an elite Giants defensive line, and Vick was able to find open receivers down the field. 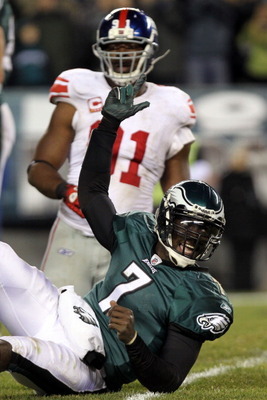 Vick was sacked a total of three times during the game. Vick continued to look down field for the open receiver, except the Giants tough defense forced a number of overthrows and missed passes. Vick started to look a little uncomfortable in the pocket when he had pressure from defensive backs and line backers. This could be the one weakness that teams could exploit on Vick. But that is high-risk, high-reward type of defensive strategy. Vick finished the game with 258 yards and no passing touchdowns. A cause for worry? Not yet. LeSean McCoy did nothing previous to the 4th quarter, and that is all because of the Giants excellent rushing defense. However, McCoy literally won the Eagles this game. On the 4th and 1 run, there was excellent blocking down field and McCoy showed excellent down field vision and darted into the endzone to give the Eagles the lead. Then, on the Eagles final drive to win the game, McCoy had a huge 40 yard rush through the Giants defense. This rush set up the game sealing field goal. McCoy came up big and won the Eagles the game late in the 4th quarter. McCoy continues to prove that he is one of the best RB’s in the NFL, and he deserves almost all of the credit for the win in this game. I watched the post-game interview with Eli Manning, and he seemed very chipper for a QB who finished a game with three interceptions and an overall 53.5 QB rating. The Eagles defense has now successfully stopped both of the Manning brothers, and had two interceptions off of both of them. This is a huge step forward for the Eagles secondary and the rest of the defense. The Eagles defense were able to get into Manning’s face and make him look for the quick throw. There was several situations where his own receivers just dropped wide open passes that would have gone for big gains. Most notable, the opening drive out of bounds catch by Hakeem Nicks. There were several drives where Manning just picked apart the Eagles secondary, but you can’t honestly expect to keep him in check all game. It ended up being another multiple turnover game for the Eagles secondary, which is a really good sign. Another good showing from the Eagles passing defense. Hold on. Did anyone else see Asante Samuel make a few tackles, and also fumble an interception? I’m not sure what to say about that. I guess, maybe the tackles balance out the fumble? The Eagles defensive line continues to show their dominance against opposing teams rushing games, and that didn’t change against the Giants. The Eagles LB’s and D-Line did an excellent job containing the two-headed monster that is the Giants backfield. Usually, when Bradshaw would take the ball there was five green jerseys and five winged helmets swarming him. The Eagles were all over the Giants rushing game, and held them to a total of 61 yards and no touchdowns. This is becoming a more and more consistent trend with the Eagles defense, for several weeks straight now. Not allowing the rushing game to get moving is a huge part in winning in the NFL. There was only one drive where the Giants were able to get something going on the ground, and that ended in a turnover. So that was a non-issue. I am also really liking Antonio Dixon, he proves game after game that he is a constant presence on the inside of the line. He opened the game with a huge stop against Bradshaw to set the tone for the remainder of the game. Keep up the good work, Eagles. Akers was on fire. As usual. Aside from the blocked kick at the end of the half, Akers hit every single field goal and was able to seal an Eagles win. This was a big game for Akers and shows again that he is one of the best kickers in the NFL. Kick return coverage was great. The Giants seemed like they were starting at their 15, almost every single drive. Punt return coverage was average. Punt returns were a non-issue because of how bad of a punter Matt Dodge is. The Eagles really didn’t even get a chance to return the ball, because he was kicking it out of bounds so much. Kick returns were average. Aside from the Ellis Hobbs injury, which had nothing to do with the coverage. It was just Hobbs trying to get a few more yards. Andy Reid has now won five straight games against the New York Giants, one of those wins coming in the postseason. Reid is obviously doing something right and is continually out-coaching Tom Coughlin and the rest of the Giants squad. Sean McDermott seems to get better and better. I’m not sure if there is anyway that Eagles fans could be unhappy with this guy anymore. McDermott is now looking like Jim Johnson, and is able to force the trademarked Eagles turnovers. The Eagles did a great job in this game of closing out the 4th quarter, especially after an incredibly disappointing 3rd quarter. I expected much more out of Michael Vick, but he did enough to get the win. The Eagles defense picked up where the offense missed out on, and it was a great game for the Eagles at home. This is a huge momentum win for the Eagles as they continue to push forward in the final stretch of the season. 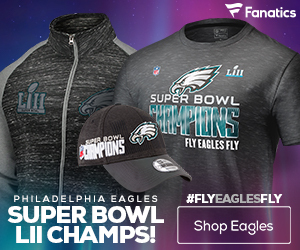 The Eagles now own the NFC East first place title, and they look to hold it for the remainder of the season and securing a spot in the playoffs. Now, the Eagles look forward to their next opponent the (7-3) Chicago Bears. This is going to be another big road game for the Eagles, and it is essentially a key game for the Eagles if they hope to hold first place in the NFC East. Overall, a great game and a big win for the Eagles. Looking forward to the Eagles next meeting with the Giants in week 14.